My conversation with writer, editor, and blogger David Morassutti, whose work as the site expert at Tip of the Tower and as an associate editor at Sportsnet has made him a true authority on the Toronto sports scene. He is also the proud graduate of the Centennial College School of Journalism. We discussed his thoughts on the state of journalism today, his feelings on ageism and why the industry struggles mightily with finding young talent, candid takes on the Maple Leafs-Raptors-Blue Jays, his initial reaction to the DeMar DeRozan-Kawhi Leonard trade, why front office leadership is so very crucial yet scarce, and his opinion of the raw power and volatile influence of modern day social media in professional sports today. 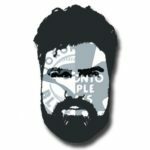 Be sure to follow David (@d_morassutti) and check out his brilliant team of contributors at the Tip of the Tower website (TipoftheTower.com) on the FanSided network. Trust me, you’ll thank me later.